I wasn’t really happy with the layout. In theory, i don’t like to “make” visitors click twice to read anything, but with my posts being quite wordy, scrolling down could be a pain and it isn’t really easy to find a WordPress theme that displays text-walls in a nice way. It seems i’ve found a solution with this current theme. A visitor still has to click through to a certain post, but if you were visiting the site, i think it now looks more appealing. I’d like to get some feedback, as well- do you like the new layout? Don’t worry, it’s nothing i created – it’s a one-click-installation. Is it bothersome to click through to a certain post? Or do you read this in a Feedreader anyway and only click through if you want to comment or something? There’s some administrative work to do- i added “featured images” to the posts appearing on the first site right now; it will look different when you click back to the second page. But the first thing, still easy to do with a free blog page here, is bringing my categories and tags in order- they’re a mess and i have too many. I also don’t like the Blogroll on the right. While i follow those blogs you can see over there, they’re basically just a selection made by WordPress in a way i haven’t looked into yet. I’ll have to look at ways to improve that. One thing i really like and what i’ve seen others do is a list of recently published posts from other blogs. I’d like to look into that, as well as other customization- i like this place and want it to feel like my own. We’ll see how it goes. I’ve contemplated self-hosting, but that isn’t free. One thing i know for sure is that i won’t upgrade this blog with WordPress themselves. It’s 100$ a year, i can go and self-host 3 years for that kind of money. I fired it up and decided on one character to continue. Returning is hard, though. A full inventory, mobs taking strangely long to kill, not knowing what stats to look for in equipment and so on. I managed to do two quests and see to my equipment. I’ve done a few quests, killed my first dozen-or-so vampires and their lord (great atmosphere but too easy to kill in the end). Turning water into blood to lure out Vampires. Nuria’s approaching Level 25, but i think i’ll create my other crafters next. The full inventory on body and bank slows me down more than i’d like, especially with those short sessions i had this week while our whole family was sick. Tonight, we’ll take a look at Orsinium. I’m really looking forward to that. March is going to be exciting- first, Black Desert Online will release on the third. Then, the Thieves Guild DLC for ESO will release on the seventh. One day after, on the 8th, The Division will release. I’m excited for all three of these releases but i am still thinking about when to buy which edition of these releases, because i’ll be away the second half of march and i’m keeping an eye on my budget. I think i’ll be patient on the Thieves Guild DLC, because i plan to subscribe to ESO sonner or later and it makes no sense to buy any more DLCs if i have access anyway and it also makes no sense to subscribe 1 week before leaving for 2 weeks. On the other hand, i might put my subscription up this month already. I’m eyeing both of them despite not knowing much about them. BDO is exciting because it has the potential of being like Archeage while avoiding the stuff that made AA turn sour. It’s grindy and probably not really good for casuals, but it’s also sandboxy- so it would allow me to set my own goals and provide different activities. I can also see some influence of different genres in the game and it looks stunning. And there’s no fast travel- that alone is reason enough to be excited. As for systems, i’m relying on Ironweakness to inform me about things like the knowledge system in Black Desert. The Division is an Online-RPG-Shooter-thingy with heavy MMO elements set during the downfall of mankind. That’s all i really know. J3w3l was very pleased, though, and i do trust her evaluations. The Divisions setting, genre and style and basically-being-an-mmo are enough to get my interest. 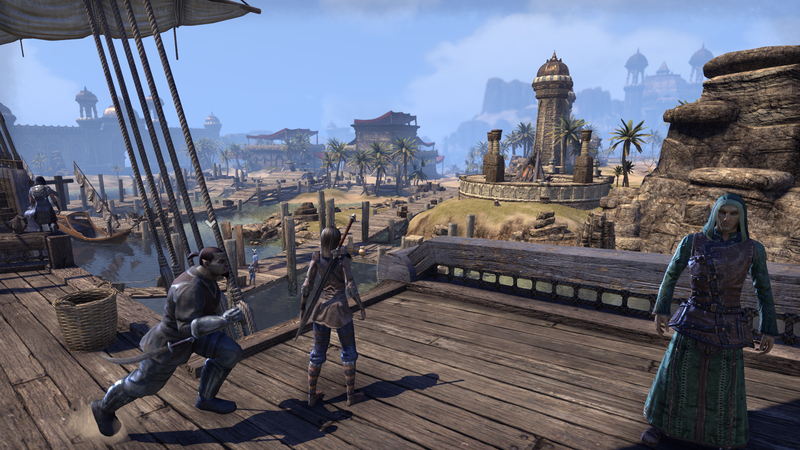 Our foray into Elder Scrolls Online with the guild was a stroke of genius for me- i know i’ve said it multiple times already, but i’m really happy with the game. Our small guild also grew a bit, with three new recruits who seem to fit quite well in our community. It’s funny, when i read those applications, their MMO history was very different to what i’m used to seeing in earlier guilds. One of them hasn’t played any MMORPG and is playing ESO because it’s Elder Scrolls. The others mentioned Everquest 2 and Lord of the Rings Online as most/recently played games. I think this tells me that we introduce our community in a good way, we want to foster a calm, nice community and i think those games reflect that. Certain games attract a special kind of player- and in my experience, Lotro and, for instance, TSW players are quite well-behaved. I have no real experience with the community in EQ2, but if someone still played that game until recently, it speaks for itself. Nonetheless, i do hope we’ll continue to grow and don’t lose members because they might feel lonely. See, we’re time-casuals, and as such it can happen that you’re alone when logging in. This again can be seen as inactivity, but in reality, there’s simply something else that needs our attention. Right now, my family is sick one after the other. It started last week with our son, then continued with my wife and now i’m sick, as well. At least our son is better again. Another one of our regulars is writing exams these days and the last one is on a work-related trip this week. So there might be a deafening silence in game right now. I hope it won’t scare these recruits away, but honestly, if it would, they wouldn’t have been the right fit anyway. That’s why i’m excited for the Thieves Guild. It will provide our small community with a PvE-related activity we can do together regardless of level. Right now, there’s only Orsinium providing that- we’ll go there on friday. Last week, we tried a dungeon run as we were four. It was a pleasant and relaxing experience that i enjoyed a whole lot, but the scaling just isn’t right. As far as i know, and please, if i’m wrong about that tell me, there’s no way a full group can enter a dungeon via the Group Finder to scale all players down to the dungeon. The dungeon scales to the group leader, but of course you’d have to take the lowest level player to avoid frustration on his/her part. So dungeons are out. I really hope the devs improve the game in that department. I have to say, going by the title/themes, both coming DLCs we know about for ESO aren’t doing much for me. I don’t know where the Dark Brotherhood might reside, but if my guildmates informed me correctly, they’re basically assassins. Assassins sneak a lot, don’t they? As do Thieves. In all those MMOs i’ve played, i also played most of the classes, avoiding only one type of class: the stealthy ones. So sneaking around to steal stuff from people and/or kill them isn’t really appealing to me. By the way, i really don’t like desert zones in MMORPGs. I *so* need to go inside that Citadel. So i was basically looking forward to both DLCs, but i wasn’t excited. Then the team posted the Thieves Guild Guide on Areas. I’ve read the whole thing, which is unusual, because nowadays, i don’t try to get as much information as possible on games and updates in order to keep the game interesting. 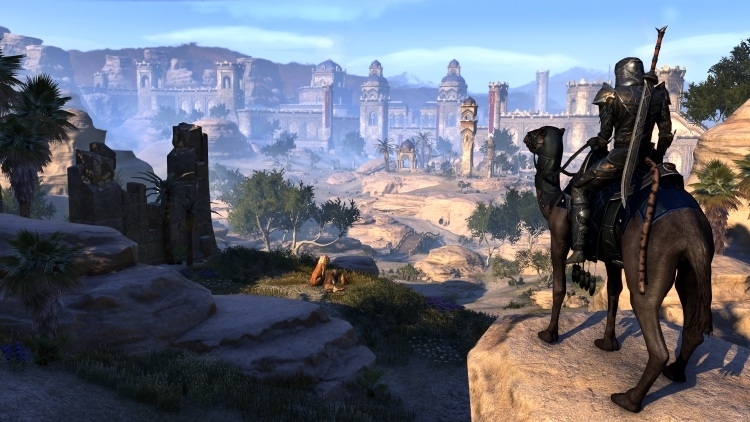 In addition to levelscaling, it’s mostly the design of the landscape that intrigues me- ESO is really good at that and it seems the Thieves Guild DLC will be no different. From the screenshots provided, it doesn’t seem to be an “empty” zone- to me, it looks as if the devs went a different route than normal by making it smaller and filling it with life instead of the usual way of making desert zones vast and empty. The zone’s backstory about merchants and guilds struggling for wealth, influence and power is fine, i guess, but it can actually develop into a very interesting plot about power struggles. That, i would like. And it also inspired an idea about a (maybe) fun guild activity: go around and steal stuff! Although i’ll have to look into the Justice system beforehand. This could be done in preparation for the DLC or within its content, we’ll see about that. …the Nord fighting for Queen Ayrenn in the Aldmeri Dominion. I’m still working/thinking about in-character details. To be honest, i’m not really much of a roleplayer, although the concept intrigues me and i might link up with a german roleplaying community in Elder Scrolls Online. Sooner or later, i’m going to need to find an explanation for a Nord fighting for the Dominion. Well, a better one than “i like big swords and the Nord seem to use them quite well”. Now, what did you say? She’s wielding a staff in that picture above? Yes, that’s right. I just re-skilled her. It took almost all her ingame gold to do that, despite her being an old character and having no skill points set when i restarted playing her after our guild chose to go with the Aldmeri Dominion. When picking up an old character, or even one i played two weeks ago, i’m always having trouble “returning” – what were their crafting jobs? What were her goals, where was she in game, where did she want to go? 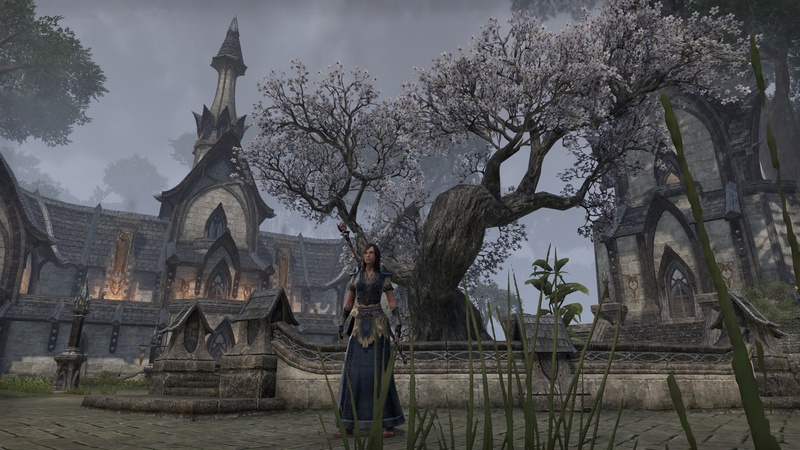 So this post is mainly to remind me- and also to share some experiences in the game- and i really can’t tell you how much ESO is growing on me the more i play. Nuria was supposed to be a Stamina-based Templar with a few healing abilities to support and/or self heal. She was supposed to wear medium armor, a two-handed sword and Dual Wield as a secondary weapon choice. The more i played her, though, the more i felt this wasn’t supposed to be her role. See, all Templar class abilities are Magicka-based. It also started to happen that i would be out of magicka during fights. That’s when i thought that, maybe, the dps/heal hybrid i have in mind would be better served with her being Magicka based. So i reskilled her and am in the process of re-training her by fighting and turning in quests while using the secondary weapon- a restoration staff, now. For soloing, i’m having two setups now, and for now, they’re both making use of dps and healing abilities. My first choice is the two-handed weapon. I can heal myself just fine with the Templar healing class tree and i’m going with a combination of Aedric Spear and Two-Handed abilities for damage. So one heal, two Aedric Spear and two Two-handed abilities are on my bar for now. The underlying goal of this will be to make her usable in close-quarters combat, not necessarily melee, while starting the attack from range. Then, there’s the second weapon set- i chose Restoration Staff, to be able to heal our groups through dungeons and whatnot. Right now, i’m using 1 heal from the Templar class healing skill line, one heal from the staff, two attacks from the Dawn’s Wrath skill line and one from Aedric Spear. This is basically a ranged dps/heal hybrid. What i (theoretically) like about this setup is that it makes use of all three class skill lines- the Templar is the only class where i like all of them- and they all support my will to do different things at times- Aedric Spear is mid-ranged with an option to engage close-quarters, while Dawn’s Wrath is ranged dps and Restoring Light is for healing. The weapon skill lines add melee and further healing ability into that mix. I hope this way i’ll be flexible enough to react to different scenarios that might come up later: maybe i’ll see that i can’t really make use of the two Stamina-based skills if i use all my attribute points for Magicka. I hope in this case i might react by wearing some medium armor. Maybe i’ll realize i am too squishy- then i might add some heavy armor. In dungeons, i can make use of two separate skill setups- one for damage, one for healing- if i have a dedicated role- or stay a hybrid of sorts. Also, i think in PvP ranged combat might be preferrable when taking part in sieges. Now i don’t know if this is going to happen or if my hybrid builds might work, but what i do like is that i have the option to try it, and it feels like “commiting”. Other games allow you to try, but they make it easy to try again- like Rift or Guild Wars 2, where you can be everything you’d want to be (within your class) in the matter of a few minutes or less if you saved your setup. This is nice, feature-wise, but it doesn’t build on your connection to the character- because she’s replaceable. I think “commitment” is the keyword for Elder Scrolls Online- every choice i’m making seems to have weight, while still being able to change it later (with a few exceptions). Crafting, for instance. You can try and do all crafts with one character, but it isn’t exactly recommended. So you’ll have to choose. Since inventory size is still an issue (by the way, good tip in keeping your inventories in order: keep everything crafting-related in the bags of characters working in that trade), you’ll have to think about it in one way or the other. Nuria is the armorer of house Mersault (my character stable that will surely grow), Tailor and Blacksmith. Why? Because that way, only one of my characters needs crafting motifs for armor. I don’t know if the woordworkers have different styles for their bows and staves, but that’s of minor concern for me right now. Elder Scrolls Online is also really immersive- i love the story and how it plays out- sometimes, you’ll turn a quest in and something will happen afterwards. Like the story of a bard who loved too many women and fell for the wrong one. There are chance encounters on the road- i witnessed an outlander being threatened by a guard in Grahtwood for eating a plant – the wood elves really don’t like that. Sometimes, these will grant a buff- with the minimal UI, though (and i refuse to mod heavily), you don’t really know what happened. One time, i saw that my Stamina bar recharged- so lighting that campfire seemed to have an effect on that. 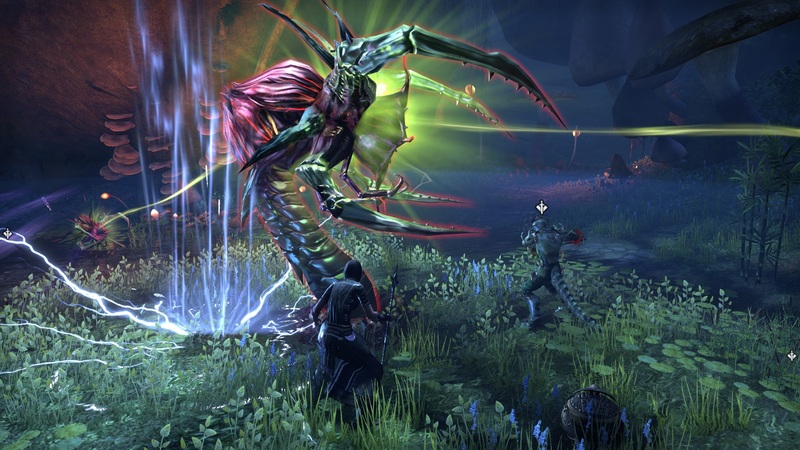 So ESO rewards the player for sticking to it- you’ll be more immersed in the story, because you still know what happened last time you played, get to learn the places and the zones as well as the lore just by playing and paying attention to quest stories (and can dive even deeper with the books and letters found everywhere)- and i’m sure sticking to ESO will have an impact on your ability and experience in trade with other players and others. So while the business model seems to suggest ESO’s fine with you leaving and returning later, you’ll get more out of it if you stay. 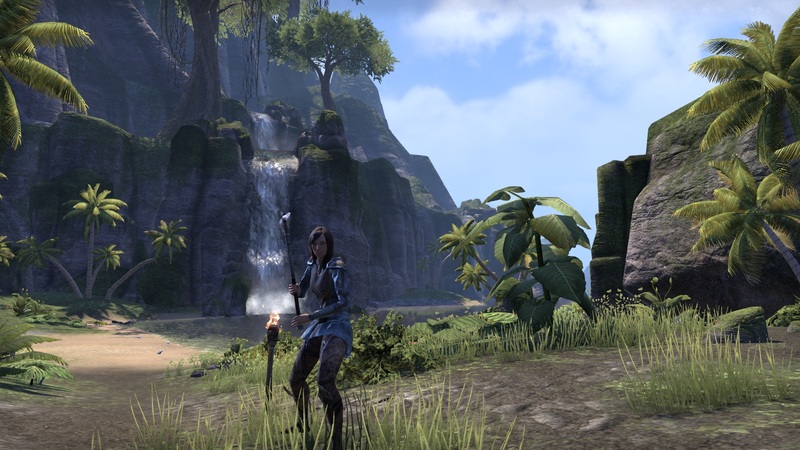 I know, this can be said about almost every MMORPG out there, and it is quite difficult to put into words, but this feeling of…weight and the growing bond with my character(s) and immersion really makes me like ESO more and more the longer i’m playing. …and why i probably won’t play it as an MMORPG. I’ve played B&S on one of those CBT weekends and made my way through the introduction before i logged out. So i don’t have much experience with the game, but i’m really getting tired to spoil the fun i might have on release with playing a game a lot before. Blade and Soul is fun. It’s interesting how these “eastern” MMORPGs are able to make the gameplay itself fun and interesting while most “western” developers aren’t really able to do that even if they try. Wildstar, Guild Wars 2 and Elder Scrolls Online are MMORPGs with action combat systems- but they’re still not really fun to play. The one that tries the most- Wildstar- simply feels stressful to me. I love GW2’s combat system, personally, but that’s because i don’t really look at the gameplay factor in MMORPGs. They are interesting because of their inherent systems, not because of their gameplay. The same goes for Elder Scrolls Online- i like the combat system and actually prefer it in an MMORPG over the combat systems in TERA, Blade and Soul, Black Desert, Vindictus and so on. But if i were simply looking at the “fun” part of that equation, the latter would be at least one step ahead of the former. Blade and Soul’s combat is interesting to play. Someone else wrote about it in a more elaborate way than i ever could- so head over there if you’re looking for a deeper look at how combat works in B&S. Playing B&S, there’s a strange way conversations are done in the game. I really can’t put the finger on what’s different- maybe it’s because the dialogue isn’t shown in a “usual” way- say, either by cutscenes, chat bubbles, a simple quest text or in a dialogue window as in ESO. It reminds me of TSW, actually, but it still feels a bit “off”. Mind you, i’ve got the same feeling with dialogue in FF14, for instance. The way NPCs talk to you also feels a bit different. My best guess is that this comes down to small cultural differences as well as the fact that usually, the english version of games i play is not the translated one, but with these games, it is. 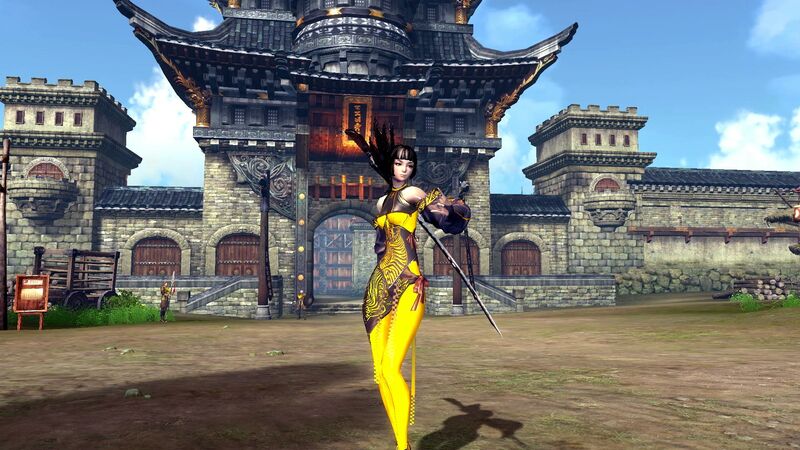 I’ll play Blade and Soul in spite of its combat, however. As i said, it’s fun, but it’s not really what i’m looking for in MMORPGs. The reason i’m going to play B&S is because of its setting (and the fact that they don’t mess their translation up in the same way Age of Wushu did). Let’s say it’s asian, although my only asian experiences come from bein in China and therefore, the setting is pretty much a chinese one for me. Of course the medieval fantasy setting in a cultural equivalent to europe/north america is more familiar and quite interesting, it has been done many, many times. It’s not so much that i’m tired of it (i’m not), but it’s interesting to see a new setting- asian inspired medieval/fantasy instead of the usual crazypants mash up of different cultural influences we get to see in TERA, Aion or FF14. 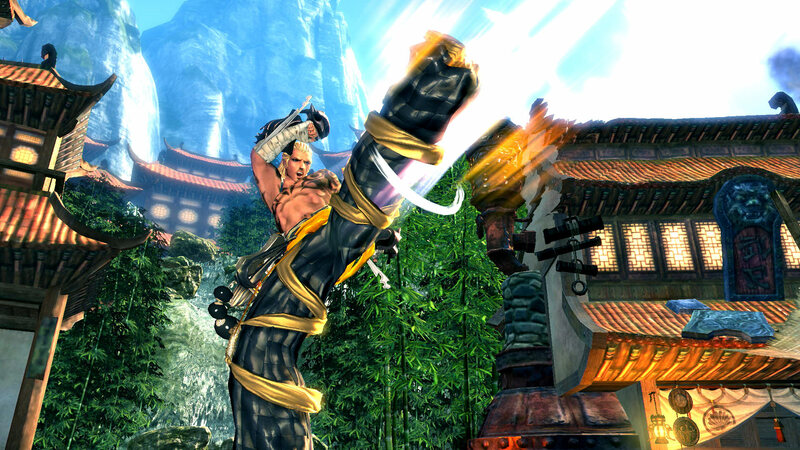 Blade and Soul didn’t make a “crazy” impression on me. Another important thing- at least in the introduction, it didn’t feel boring/uninspired to me. TERA’s world, for instance, is strikingly beautiful and worth exploring/seeing, but the questing, well, it didn’t grab me. Everything feels hollow (i think this is also why i can’t get into Rift, despite it being one of the best MMO experiences out there). In B&S, maybe because of the storytelling element and the fact that the story appeals to me (more on that soon), it feels interesting. The world- or at least what i saw of it- looks beautifully designed and “believable” as well as new because of the eastern setting. The character editor is very good and i like the character models. I’m also not offended by them having a sexualized outfit and i do believe that if you don’t want your character to look skimpy, there will be alternatives, because i feel like character customization plays a big role in the game and probably in its’ business model, too. Character customization is a great way of getting us, the players, attached to our avatars and i think B&S offers great customization tools and outfits. I do like the races- i don’t like that two classes are Lyn only. I don’t get the love for small races, especially in asian MMORPGs- with the Lala’s in FF14, the Elin in TERA or the Lyn here. Gnomes and Dwarves, i get. They are small and somewhat cute (in the case of gnomes), but they’re more…weird. This might be a lack of cultural understanding from my side, though, because somehow i feel the usual background of gnomes believable and frown at 300 years old grumpy little girls. The story of Blade & Soul isn’t groundbreaking or surprising, it’s the typical eastern revenge story where someone kills your teacher/master/family and you go off to get revenge. While i’ve seen a myriad of eastern movies with this theme, it’s close delivery in video games is new to me. B&S makes sufficient use of cutscenes to deliver the story. Sure, there have been other games that, maybe, focus on the same (Swordsman, Age of Wushu), but in B&S, there’s that Triple-A feeling. Everything feels slick, if a bit strange at times, the quality level of B&S is high. Since GW2 and Archeage, i’ve made it a habit not to look too closely at upcoming MMORPGs, because especially with GW2, i felt i knew the game before i even started playing at release. So usually, i try to get only a very broad sense of a game and maybe look into a beta for an hour, but i prefer to enter new games blindly. So i don’t really know if B&S has intricate systems underneath the combat surface. There’s crafting, i know that, and there is pvp and probably a very good cosmetic system. If i’m right in my assumption that combat is the most advanced system in the game, there’s nothing, system-wise, that would keep me in B&S. Setting and Story are very nice and i’m looking forward to playing the game tonight or tomorrow, but i think that missing systems as a driving force will make it a game i’ll touch once in a while without caring too much about it. Since it’s f2p and i’m also heavily involved in Elder Scrolls Online and Rocket League, there’s nothing wrong with that. 2015 has, similar to 2014, been all about dabbling in a myriad of MMORPGs. There are so many downsides to this approach to MMO gaming that it could become a post for itself. There are, however, three points that make me want to try and focus again this year. First, dabbling is expensive. When you are MMO homeless, each and every bit of hype, patch, update and expansion is going to lure you to spend money for Early Access, a subscription, the expansion and/or shop currency. Furthermore, and i think this is true for a lot of folks, you’re way too optimistic in your spending, so you’ll choose the more expensive way of buying things- the collector’s edition, a longterm-subscription, bigger shop-currency-bundles and so on. Now, i am in the lucky position that i don’t need to think that much about spending a bit for my hobby, but still, playing MMOs and gaming in general should be done on a budget these days. Publishers have become very good in getting money out of our pockets to buy without thinking. Playing fewer MMOs, and games to an extent and putting my gaming under a budget will hopefully result in spending less this year. I don’t play a lot. Well ok, the truth lying in that statement depends on your perspective. Normally, i spend about 40 hours a month in gaming (with peaks and valleys, of course…darn you, Rocket League). Now try and play 7 MMORPGs and multiple massive single player RPGs within that time. You don’t achieve anything. Even if/when i focus for some time, by the time i’m returning to an MMO, i feel lost- don’t know anymore what i wanted to do with the character i played last time, don’t know where she was in terms of questing progress, what the items in the inventory mean and so on. So more often than not, i’ll create a new character. I have very deep knowledge of the first 10 hours in many, many MMORPGs, but more often than not i don’t know the mid-levels. So when i play fewer MMOs, i might actually see more, feel more motivation to play them and will feel more immersed. The small community we’ve founded in september has played The Secret World, Guild Wars 2, Elder Scrolls Online and Wildstar together. We wanted to make Wildstar the main MMO, but that didn’t work out. After that became clear, we didn’t want to focus anymore and instead just play together. Turns out that, since then, we’ve only played ESO. If we want to grow a bit, the community needs to focus. 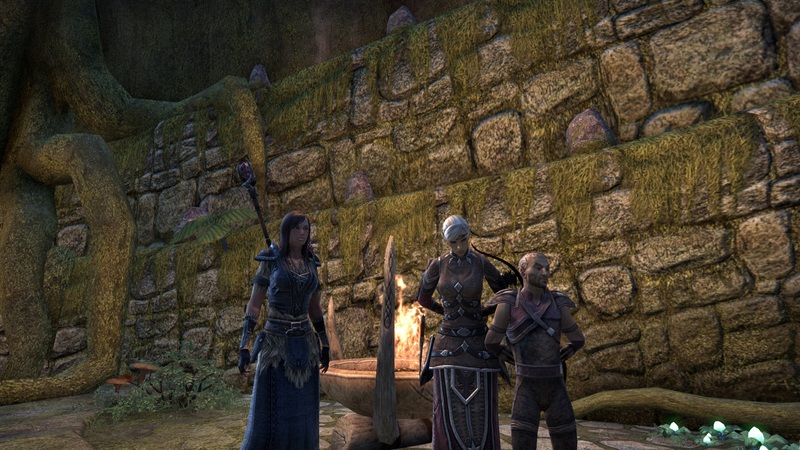 After Wildstar didn’t work out, we met up in Elder Scrolls Online and really liked the experience we had so far. We have a regular group going in the Daggerfall Covenant, but the majority of our solo characters are with the Aldmeri Dominion. Currently, we are discussing if we want to change the alliance for our existing guild over to the Dominion. In my opinion, this would make more sense, although i’m having trouble arguing for it in terms of ingame mechanics. 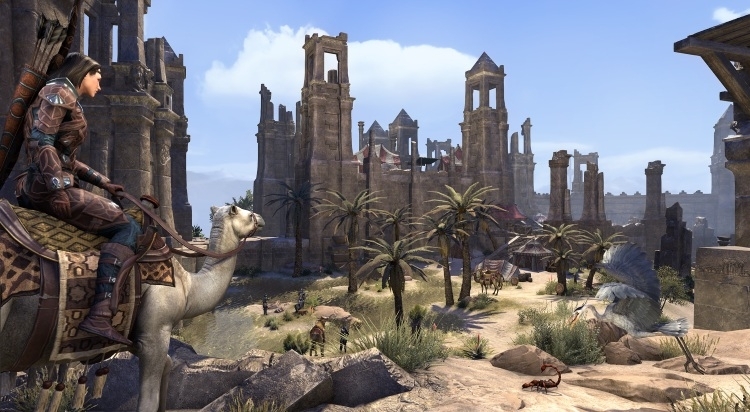 Sure, there is an influence in Cyrodiil, but i’m guessing this won’t play a large role for us- even if/when we plan to play there, it seems unlikely that our guild would be able to hold something. But it seems counter-intuitive to me to have a guild with the DC, when all we are playing there is our regular group. Furthermore, we are looking at recruiting some people to our guild/community and here, as well, the Aldmeri Dominion seems to make more sense. ESO is a good game- i like the possibility to skill your character in the way you like, i like how the newer DLCs provide activities independent to the level of the character and i think ESO is one of the few games with a good 2016 ahead of it, maybe they’ll even include housing, which would improve the game a lot. For me personally, it fits the resolution to spend more time with PvP and fostering and playing with our small community. It also has a great business model, in my opinion. Everything other than DLCs is optional, and even those are to an extent. So if we’re guessing, maybe 15000 Crowns for 4 DLCs in 2016, factor in the 9000 Crowns i have right now, we’re looking at an investment of, say, 70€ this year. It would be on my terms, though, and could become less if i make use of special offers for crowns like those they had on christmas. For me, personally, ESO has a few flaws: it’s somewhat linear and in the end, most activities are combat-related and it is an “action MMO”. With those, i do have a hard time to relax from time to time. I need a hotbar-combat-focused MMORPG in my rotation. There are a few good ones out there- Lotro, SWTOR, Rift, EQ2 and WoW, to name some. I’ve decided for FF14 as my MMO to relax, because i paid for Heavensward and haven’t seen anything of it yet, because it’s a simple subscription MMO with a heavy PvE focus and it also seems to have a good 2016 ahead of it. There’s a lot to do in FF14, as well. Yes, that’s cheating. But last year, i decided to spend money on Blade&Soul and i don’t want to see it go to waste. I also don’t regret “buying” it, because i’d really like to see an MMO with an eastern setting. In the closed beta i attended, i also liked the story. But i know Blade&Soul isn’t going to keep my interest at a high level in the long term, because it’s heavily combat-focused and doesn’t seem to offer much in terms of non-combat activities. 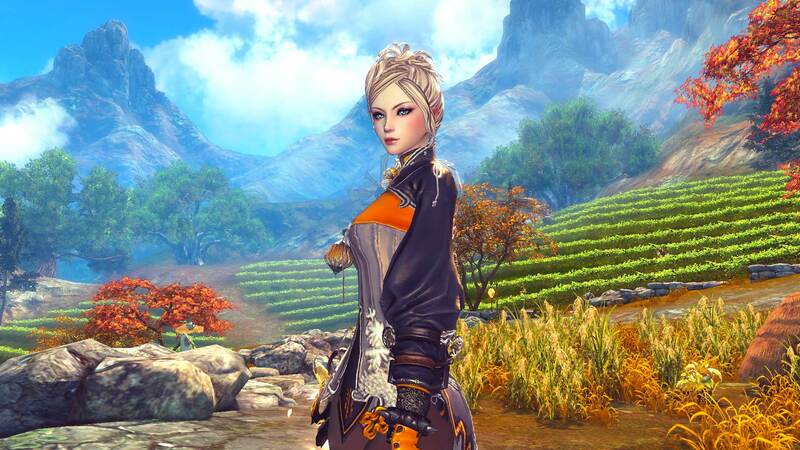 So chances are that Blade&Soul will be replaced at some point. There are some good candidates for that replacement- the first most likely to come up will be Black Desert. I’m still holding out on this- but i had high hopes for ArcheAge and Black Desert seems to follow some of the design elements of AA- hopefully without ruining it in the same ways as AA did. The other ones aren’t released yet, as well: Camelot Unchained is a strong contender, Shroud of the Avatar, the Repopulation, Crowfall will come out at some point, as well. All of them are good candidates for me when they do their final wipe. Then there’s Guild Wars 2, with its WvWvW, which is something i’d like to look into from time to time. All others…i need to stop thinking about them/trying them out. Rift is great, but the world and lore don’t appeal to me for some reason. I always like the gameplay element, but at some point, it always bores me. Lotro has a great world, is very relaxing to play, but it’s best days are behind us and i’m way too far behind the curve to make this an MMO experience for me. I might dabble in it from time to time, maybe use my bought level 95 character to see the world, but that’ll be it. SWTOR…no, i have to cross that off the list. It’s a subscription game and subscribing to it never paid off for me. TSW is great, lore-wise, but it has the opposite effect as Rift on me- i love the world, setting, atmosphere, but somehow the gameplay turns me off. Too many to name. Regarding new releases, i bet i’m going to end up in the Division and Overwatch. Then there’s a whole bunch of single player RPGs i want to play: Fallout NV, Divinity: OS, Fallout 4, Sword Coast Legends, Wasteland 2, Pillars of Eternity. Lately, i was also having an itch to play an ARPG, with Diablo 3 being the most likely choice. And i might even take a look at the beginner MOBA Heroes of the Storm, thanks to Rocket League. Speaking of which, the “play Rocket League” button is still the biggest obstacle for me to even launch an MMO these days. 50 hours in and still having fun- even more so than in the beginning. Happy New Year everyone! It’s time to take a look at the rest of my gaming-related resolutions for 2016. This sounds similar to what i posted last year- as will some other resolutions further down this post- and i failed to achieve most of them. But that’s all the more reason to try again. We all know this by now, but free-to-play and Early Access are actually quite expensive if you don’t keep your spending in order. If you simply spend money on everything that interests you, you’re going to spend a lot of money for games. Since i didn’t keep a budget, i can only try to remember what i spent- and i think it amounts to about 1k€….and that’s really too much for someone who’s playing an hour a day on average. So this year, i’m going to cut it down and limit my spending to 300€/year, 25€ per month, give or take a few euros. This, of course, means one thing….again. This has been on my list since the beginning of this blog in 2013. I’m stretching myself way too thin in all those MMOs i play and i’m unable to achieve anything in any of them because you can’t play 9 MMOs with maybe 40 hours /played a month. I need to cut some of them loose. I don’t know which ones yet, but good candidates are The Secret World, SWTOR, Wildstar and i need to stop thinking about Rift, WoW and maybe even Lotro. I’ve still got about three weeks of (wasted) subscription time on Final Fantasy 14, and i’m going to make use of them and see whether FF14 will be on my friends- or blacklist. Elder Scrolls Online is a strong candidate right now- it fits some of the criteria i’m setting for myself: it has a good business model and the subscription doesn’t even tempt me, my small guild maintains a levelling party, all active members in that community like the game and the PvP experience in Cyrodiil is actually quite good. This selection process will be discussed in an extra post (again), but in 2016, two things are not going to happen: i will not subscribe to more than one game at a time and i will not sub for the longest possible period to “save” money. It never worked. 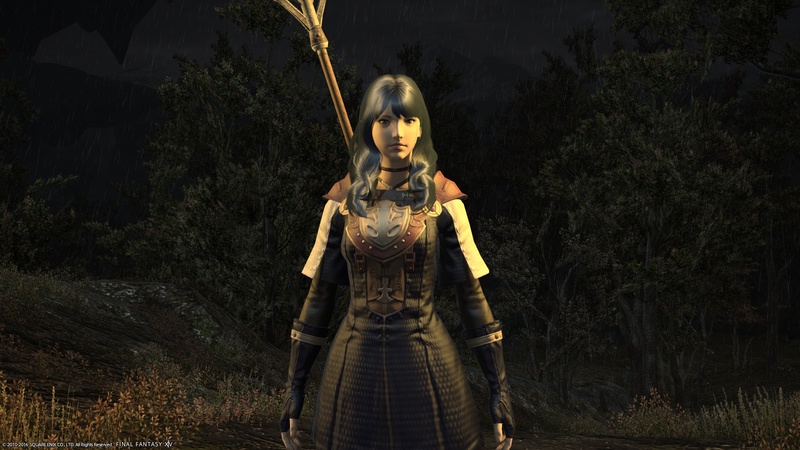 This might be a seperate blog post, as well, but in general, MMOs are not “good games”. I think the big advantage of a “true MMO” is that it’s actually a genre mix- you have RPG in most of them, of course. Then, there’s the economy, the crafting, the housing/decoration/clothing minigame, small group PvE, solo PvE, instanced PvP, open PvP, the social part, the story, gameplay and more. All these small pieces in one game is what makes MMOs exciting- if you would take a look at an individual element- the RPG part, for instance, you’d find better examples in singleplayer land. The same goes for all the other parts. MMOs mix all these elements into one game and that’s what sets them apart. Like many others’, my Steam backlog is huge. There are so many great games that i haven’t paid as much attention to as they deserve: Divinity, Cities: Skylines, Pillars of Eternity, Fallout 4, Fallout NV, Wasteland 2, Endless Legend, The Witcher 3 and many, many others. In fact, in 2016 i wouldn’t really need to buy new games or even play MMOs and i’d still be busy the whole year and possibly even well into 2017. So this year, i’d like to play more non-MMOs instead of playing 7 MMOs in one month. Our community is chugging along quite…ok…ish. We’re very, very small. Three active members at the moment. We don’t know how and when we’ll try to grow, but i want to foster that small community. I’d like it to have about 10 active members when 2016 will come to an end. That doesn’t sound like much and it probably isn’t, but i think a small tight-knit community that plays comes together to play once in a while instead of daily is a much better fit for me. As of right now, we have a recruitment form open and we will take applicants in if they seem to be a good fit, but sooner or later, we’ll probably close that form down and rely on direct invitations. 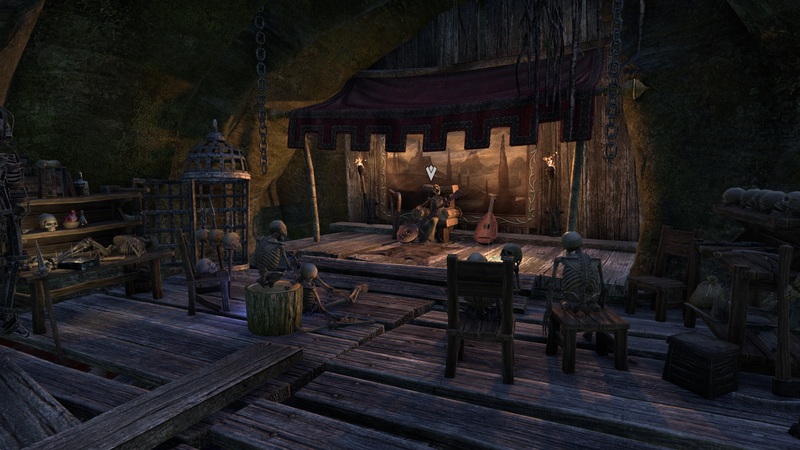 If we continue to be as happy in ESO as we are right now, there’s a good possibility that we’ll look into growing our guild there- at least up to ten members (to get the guild bank). Another thing related to this- i wrote about that in another post, i want to reconnect to some people i started a community with in 2012. We had some kind of silly argument at that time and i had thought of reconnecting with them more than a few times. Now, i’ve played Rocket League with two of the three people i really liked at that time because thankfully, one person hasn’t been as much of a craven as i was. That leaves one person to go and it will be the toughest one. Blogging in 2015 has been a mixed bag- i had quite active times and a long stretch of inactivity after the summer holidays. I still love the “Dual Wielding” column and would really like to give that another try this year, but it seems that Ironweakness suffered the same lull after the summer. In 2015, some times i tried to publish daily, but i’ll have to admit that i can’t keep that up for very long. My new goal would be to publish at least one post per week, but to keep this up consistently throughout this year. Project Trinity isn’t doing too well these weeks. I wrote about having far less playing time than i’d like to have- it’s summer, so even if there’s nothing else real-lifey going on, our 2 yr. old sleeps late. When he’s finally sleeping, i still have some chores to do, so i haven’t been able to sit in front of a pc before 10/10.30 p.m. At that hour, what game do you launch when your usual bedtime is around 11.30 p.m.? In Final Fantasy 14, an hour is basically almost nothing. Sure, you could do a quest or two, but that’s about it. In SWTOR, you could do something in an hour, but my subscription lapsed and while i plan to continue the sub, i won’t restart it on an evening when i know i’ll only have an hour to play. The Secret World would be possible, as well, but it needs attention- the strong points of that game don’t come to light when you’re just “playing around”. Maybe i just chose “wrong” for this month- or maybe, just like the guild project i’m doing where we play a free-to-play game for a few months, Project Trinity should have a summer break. Of course i won’t give up so easily, but there will be cop-outs. Another one is going to happen tomorrow, when TERA launches a new server. Can you believe that? A 3-year old game opening another server? This is great news and TERA isn’t so bad- it’s not on my usual rotation because of the european publisher and the quite generic questing. The Steam version is the NA version, as far as i know, and i’ll join the masses for the new server to take a look- is lag really that bad? And also, launch hype- and a new server is one kind of “launch hype” makes me curious. I’ll justify that by creating a new “series” for this blog….oh right, Trove. So Ironweakness‘ series of posts regarding Trove made me curious and yesterday, when our son slept surprisingly early, i gave my possible selection of games a thought, but i also knew i was tired- so going for a story heavy MMO didn’t fit the bill. Also, i kind of hoped- it was sunday, after all, that i could meet Ironweakness in game- it would be a first. He’s my partner in writing the Dual Wielding series which proved to be great fun with the small caveat that we seem to have similar opinions on a lot of topics. Sometimes, there’s enough differences to make the reading of both posts interesting- or so i hope- sometimes, like with our 12XP post, it seems as if we were talking about the posts beforehand. We don’t. And luckily, we really met up! He invited me to his cornerstone and we talked a bit before heading off into an adventure world and did some dungeons while he explained some of the games’ mechanics. Because, to be honest, i don’t understand Trove. There seem to be multiple gameplay elements on focus here: the building, although your cornerstone is quite small and doesn’t really offer a lot of opportunity to build. The adventuring and exploring, where the point seems to be to enter one adventure world and explore the heck out of it- which is good, because really, there are impressive sights to be seen, but with the early worlds, you do outlevel them quickly, so maybe the exploring stuff will become more interesting later. Of course, one could explore an adventure world anyway, even when outlevelled- mobs don’t grey out, you’ll get xp just like before and of course, exploring is its own reward. And finally, there’s the crafting component. The problem is, i don’t really know where to start- there are many craftable objects which is a good thing- but it isn’t that easy to know what one should build first and where/how to get the materials for building something. But fun it was, especially going out as a team and finally meeting up with someone who i’ve been in contact with since…well, is it four months already? Crazy! Of course we e-mailed, but chatting is a whole different thing- remember, this was the wonder of MMORPGs- that you could meet up, chat and play with people from all over the world. Thankfully, Trove doesn’t seperate players by region, so you can meet pretty much everyone without it being a hassle for someone. Usually, when you try to meet people from another continent, you’d have to join another server, which might lead to lag or time-zone issues. That’s not a problem with Trove, though. I’ll continue to give it a look and i promise to take screenshots next time- it seems there’s no keybind for that yet, and i haven’t made use of the chat command.